Beez Combat Systems BALCS carriers support ballistic soft armor cut to the shape requirements specified for US SOCOM SPEAR BALCS and Hard Armor SAPI or Swimmer cut plates. The BALCS carriers are available in multiple versions and in multiple colors which allows the individual to quickly utilize BALCS cut armor in a cost effective manner. 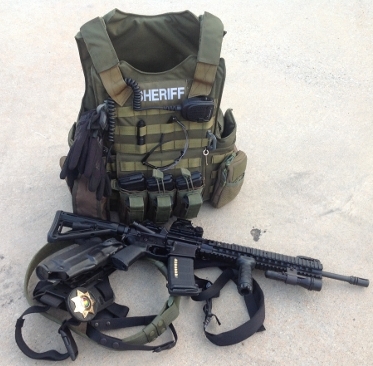 Features include fully adjustable shoulders, velcro loop on the front for identifiers and groin protector attachment point.These carriers are perfect for Military,LE (Law Enforcement), Security and are available in multiple colors – Multicam, Multicam Black, A-TACS AU, A-TACS FG, Kryptek Highlander, Kryptek Mandrake, Kryptek Typhon, Coyote, Ranger Green, Khaki, OD, Woodland,ABU and Black. BALCS GRID – The most advanced BALCS carrier with laser cut GRID and Tubes. 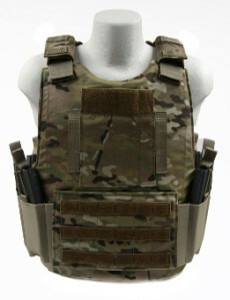 BALCS SWAT Carrier has the accessory attachment points for the collar, throat, DAPS and groin attachment points. BALCS SF (Security Forces) Carrier Cumber. Was designed for US Air Force Security operational requirements. BALCS LVBC (Low Vis BALCS Carrier). Has a 3 cell elastic cummerbund that can hold up to six mags. 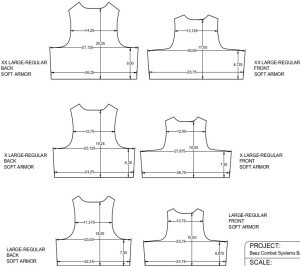 BALCS LVR is a scalable body armor carrier system. For more details about the BALCS LVR. 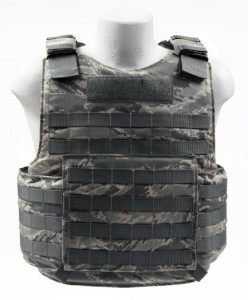 The BALCS carrier LBAV (Low-Visibility Body Armor Vest) concealable was developed for those that need a low profile body armor systemto wear under an outer shirt or when operating discreetly. 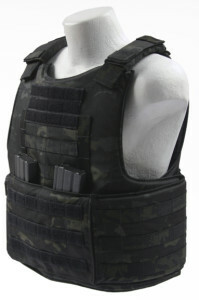 The carrier will support BALCS cut soft armor and hard plates and with no provisions for pouches or attachments. This carrier has a very low signature. 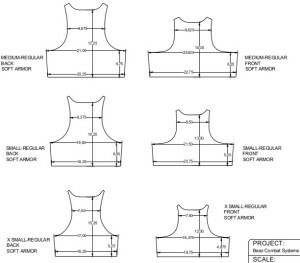 The elastic waist system is the most comfortable configuration on the market. The waist webbing straps help support and secure the weight of the front and back hard plates and guide the elastic side straps . No other LBAV carrier on the market has these features. 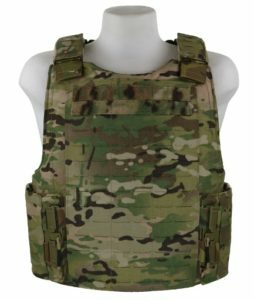 Available in Multicam, A-TACS, Ranger green, Coyote and Black. 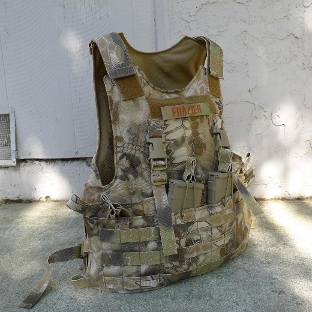 BALCS carrier Molle – Molle webbing across the front and back of the carrier for mounting molle compatible pouches. The waist configuration utilizes 4 1” quick-release buckles to secure the carrier. The BALCS carriers will molle includes a drag handle. BALCS carrier cumber – has a fully configurable external cumber system with an elastic internal cumber. 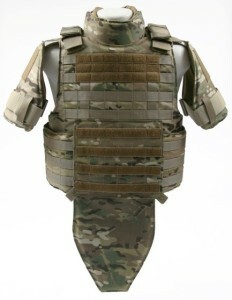 All BCS cumbers have the unique design with molle on the inside and outside to allow for maximum configuration of side-SAPI plates and mag pouches. The cumber has velcro access so soft armor inserts or support material can be inserted. The front cumber flap is designed with three rows of velcro over the molle to allow for quick attachment of our TLMP or Haley D3 rig. The BCS BALCS carrier line allows you to utilize the BALCS cut armor in multiple configurations with out breaking the bank.